Santa Barbara Advisors – Invest in your future today! Santa Barbara Advisors Inc is a Registered Investment Advisor firm (RIA). Our number one goal is provide suitable financial advice for our clients. We have a fiduciary responsibility to our clients which encompasses giving them best financial advice we can. The majority of investments we recommend to our clients, we ourselves, also own. Santa Barbara Advisors, Inc. was founded in 2000 by John Weymouth and was registered with California as an investment advisory firm in April of the same year. Before founding Santa Barbara Advisors, John was an owner and Vice President of Santa Barbara Securities from 1981 through December of 1999. John has lived in Santa Barbara with his wife and 4 sons since 1972. He has been a stock broker for most of his 48 year career in the investment business. In 2000 John hired Linda out of San Marcos High School and more recently in 2004, John’s son Paul returned to Santa Barbara to join the team. Santa Barbara Advisors is focused on developing strong, lasting, and successful client relationships. We offer our advisory services through Schwab and National Financial Services. We strive to provide a consistent, disciplined, and long term approach to investing. From time to time we also offer unique investment opportunities when we partner with leading Santa Barbara developers such as Investwest Financial, Investec, and others. These developers have worked with us for over 25 years in structuring unique offerings such as shopping centers, self-storage, and hotels. Empowering our clients to accomplish their financial goals drives us to consistently recommend the best products and advice to our high net worth individual clients. Paul teamed up with his father in 2004 just after receiving his MBA from Washington State University. From 2004 through 2011 Paul was a registered representative of mutual securities and had passed the series 7, 14, and 66 exams. Paul was named President, CEO in Oct. of 2018. Linda Tran Dang was born and raised in Santa Barbara. She joined the firm in 2000, and is responsible for managing a variety of Santa Barbara Advisors’ operational and administrative functions. She has been working in the investment management industry for 15 years. Linda earned a BS in Psychology from California State University of Channel Islands CSUCI. She has completed the Series 7 and is a notary public. 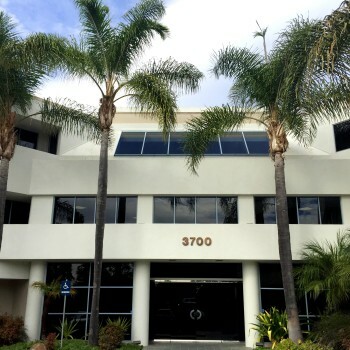 Santa Barbara Advisors was founded in 2000 and is located at 3700 State Street Ste. 340, also known as the Fidelity Title Building.